The School of Neutron Scattering “Francesco Paolo Ricci” (SoNS) is glad to announce that Dr. Pierfrancesco Ulpiani is the winner of the first edition of the joint SIF-SoNS “Neutrons Matter” 2018 prize, “For his relevant experimental achievements in the optimization of detection and energy analysis of electronvolt neutrons, and their applications to the measurement of zero point kinetic energy in condensed ice phases”. 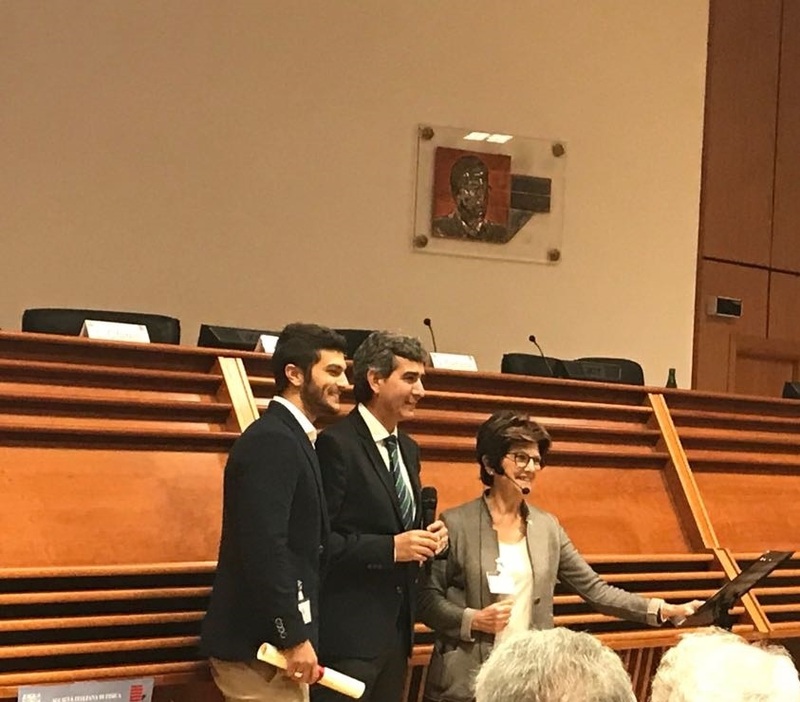 The prize was received today, September 17th, from Prof.ssa Luisa Cifarelli, president of the Italian Physical Society (SIF), and Prof. Roberto Senesi, president of the School of Neutron Scattering “Francesco Paolo Ricci”, during the opening ceremony of the 104th Annual National Congress of the Italian Physical Society (SIF) held at the Università della Calabria. Dr. Ulpiani, graduated in physics at the Università degli Studi di Roma “Tor Vergata”, is currently a PhD student in “Materials for Health, Environment and Energy” at the Università degli Studi di Roma “Tor Vergata”.